The number of cases of measles in the Philippines has exceeded more than 14,000 and the count is still rising even as the government steps up its campaign against a vaccine scare that was triggered by deaths allegedly caused by Dengvaxia, a vaccine against dengue. SUBSIDIES granted to state corporations rose in 2018, with the bulk going to the Philippine Health Insurance Corp. (PhilHealth), the Bureau of the Treasury said. 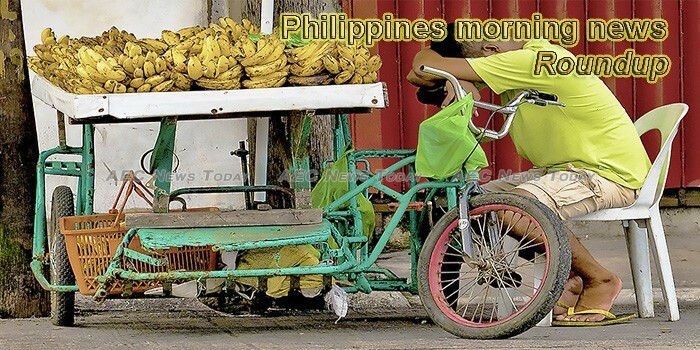 Inflation likely eased last month back to within the two to four percent target set by the Bangko Sentral ng Pilipinas (BSP) due to easing food prices, particularly that of rice, according to economists. The Philippine peso has defied a yawning current- account deficit to emerge as Asia’s best-performing currency in February. And it may continue to surpass its peers. Since Rodrigo Duterte’s ascent to presidency, Philippine-China relations have undergone a strategic renaissance. The Malacañang assured that loan agreements between China and the Philippines do not carry high interest rates, after a former lawmaker revealed a “one-sided” loan from China for an irrigation project. The Bureau of Internal Revenue (BIR) has some P80 billion in uncollected taxes in the past decade, which the government seeks to partially capture through the newly enacted Tax Amnesty Law, according to the Department of Finance (DOF). Several senatorial candidates on Sunday, March 3, called for the suspension of the laws on oil deregulation and tax reform. A British consultancy firm and Filipino audit company will reveal the implications to national and international companies of the Duterte administration’s Tax Reform for Acceleration and Inclusion (Train) Package 2. AT least 5,400 Filipino farmers have already incurred losses of more than P150 million due to hotter weather caused by El Niño, an initial damage assessment report of the Department of Agriculture (DA) obtained by the BusinessMirror showed. DEFENSE Secretary Delfin N. Lorenzana on Saturday said the national government may exercise its power to “remove” any appointed transition leader who is “perceived to be sabotaging” the transition government of the new Bangsamoro Autonomous Region in Muslim Mindanao (BARMM). Despite its six-month closure last year, Boracay continues to gain interest from tourists with its beaches listed among the best in Asia in travel website TripAdvisor’s 2019 Traveler’s Choice Awards. China is betting on the Philippines once more, as approved investment pledges soared by an astonishing 2,072% in just a single year. Auditors have flagged P3.6 billion worth of transactions in the Philippine Coast Guard (PCG), adding to the list of financial irregularities that the agency has to answer for. The Korean Government, through the Korea International Cooperation Agency (KOICA), and the United Nation’s Food and Agriculture Organization (FAO) have launched a US$ 5.8 million (approximately Php302.4 million) initiative that will support efforts to foster sustainable peace and development in Mindanao. State-run Social Security System (SSS) made it easier for its more than 1.2 million qualified retiree pensioners to apply for the Pension Loan Program. A major new study has shown that e-cigarettes or vapes are nearly twice as effective as traditional nicotine replacement therapies in helping smokers quit cigarettes. Filipino sailors sent home a new record high of $6.14 billion or around P318.55 billion* in 2018, party-list group ACTS-OFW announced on Sunday, March 3. Revenue shares released by the Subic Bay Subic Bay Metropolitan Authority (SBMA) to neighboring local government units (LGUs) have reached a total of more than P1.87 billion, after it distributed last week the dividends for the second half of 2018. Philippine Airlines has programmed $650 million worth of capital expenditures this year to fund the acquisition of new aircraft. The Department of Finance (DOF) and the Bureau of Internal Revenue (BIR) are working closely with other government agencies, including the justice and labor departments, to ensure that foreign nationals working in Philippine offshore gaming operations (POGO) comply with the country’s tax laws, particularly in the payment of income taxes. THE Philippines has temporarily banned the importation of poultry products from India due to reported outbreaks of avian influenza (AI) in the South Asian country. More than 1,600 soldiers from the Armed Forces of the Philippines and the US Army will participate in an annual bilateral exercise aimed to enhance their readiness and tactical interoperability while strengthening multinational relationship. AVERAGE VACANCY rate for office spaces in Metro Manila will likely hit 7.1% this year as more than 800,000 square meters (sq.m.) of new office supply is seen to enter the market in 2019, according to real estate services firm KMC Savills. The Sandiganbayan has convicted Samar second district Rep. Milagrosa Tan for eight counts of graft in connection with the anomalous purchase of emergency supplies for typhoon victims when she was governor in 2001. THE MARITIME industry regulator said it wants to attract private organizations to continue engaging in shipbuilding and repair by developing a scheme of tax incentives. The United Nations Children’s Fund (UNICEF) and Child Rights Network (CRN) on Saturday lamented President Rodrigo Duterte’s decision to veto the “Positive and Non-Violent Discipline of Children Act,” and urged officials and the public to save the bill. A petition seeking the nullification of the ratification of the Bangsamoro Organic Law (BOL) in Cotabato City has been filed before the Supreme Court (SC). The government has begun the construction of the P11.2-billion Jalaur River Multipurpose Project (JRMP) in Iloilo, the largest irrigation project outside of Luzon. A study by the Economist Intelligence Unit (EIU) of The Economist Corporate Network suggested that in Southeast Asia, family-owned businesses in the Philippines are most receptive of running a business around technological operations. The Department of Information and Communications Technology said it is at the final stages of preparing the common tower policy for eventual affirmation and signing. The Philippine government’s premature declaration that Indonesians were the perpetrators of the Jolo cathedral bombing last month has set back the prospects for regional cooperation on terrorism and reinforced a perception among Indonesian counterparts of the Philippines as an unreliable and unprofessional partner. For the first time, the Philippines will host the Asia Water Council (AWC) conference in Makati City on March 14-15 this year. Several senatorial candidates on Sunday said they will be pushing for larger representation of the labor sector in the Senate to address long-standing issues and concerns, specifically contractualization. A human rights group on Saturday claimed that President Rodrigo Duterte’s pronouncement that the number of drug addicts in the country had reached seven to eight million proves that the government’s war on drugs is ineffective. Filipinos who are not involved in illegal drugs have nothing to fear, Malacañang said yesterday, after a nationwide survey suggested that a majority are worried about becoming victims of extrajudicial killings. The Bangko Sentral ng Pilipinas (BSP) has directed banks and financial institutions to step up customer due diligence procedures to make sure the Philippines would not be used as a money laundering site in light of the crisis in Venezuela. Administration Senator Manny Pacquiao said “too much democracy” is hurting the country. Secretary Roy Cimatu has placed all regional offices of the Department of Environment and Natural Resources on alert for forest fires. A magnitude 5.3 earthquake was recorded 22 kilometers northwest of Burgos, Ilocos Norte on Sunday, according to the Philippine Institue of Volcanology and Seismology (Phivolcs). Organizations advocating for the care of people affected by leprosy gathered on Sunday for a regional assembly, aiming to put an end to the social stigma and discrimination and to push for their inclusivity. Former President Benigno Aquino 3rd and other former officials are not yet off the hook regarding cases involving the anti-dengue vaccine dengvaxia, Malacañang said on Sunday. A NEW SURVEY showed 37% of senior management positions at Philippine companies are occupied by women, well above the global average of 29%. To mitigate the shortage of construction workers in the country, the Department of Labor and Employment (DOLE) may cut down the deployment of construction workers abroad by as much as 90 percent. Amid the series of recoveries of cocaine left afloating in the eastern seaboard of the country, the Philippine Coast Guard said it will open 21 radar stations nationwide to beef up its monitoring operations. Authorities on Sunday intercepted more than 1,000 turtles left inside four bags at the Ninoy Aquino International Airport (NAIA). The Philippine Health Insurance Corporation (PhilHealth) on Saturday warned the public against individuals offering assistance to present and prospective members to secure identification (ID) cards and member data records (MDR) for a fee. A Catholic Bishops’ Conference of the Philippines (CBCP) official has welcomed the Philippine National Police’s (PNP) offer to protect members of the clergy facing alleged death threats. Senatorial candidate Neri Colmenares on Sunday dared presidential spokesperson Salvador Panelo to release the official copy of the deal struck between the Philippines and China on an irrigation project and he will question it in court. A lumad representative on Saturday claimed some of her schoolmates suspected to be members of the New People’s Army were abducted, tortured and killed by the military as the martial law continues in Mindanao. Two offices under the Department of Finance (DOF) tasked to provide frontline services were recertified by the International Organization for Standardization (ISO) for meeting the standards on quality assurance, consistency and efficiency of services. By Caesar Vallejos OPEN FOR BUSINESS, Eagle News Service The lush foliage of a serene oasis at the center of a highly urbanized environment turned more intense with the bright colored shirts worn by volunteers from the Iglesia Ni Cristo Locale of Visayas Avenue for its first Clean-Up Drive project. Child rights advocate group on Saturday released its data on children’s rights violation committed by law-enforcement agencies under the Rodrigo Duterte administration. The remaining workers of the financially troubled Hanjin Heavy Industries and Construction-Philippines on Friday, March 1, accused the giant shipbuilder of barring them from entering the company’s premises in Subic. The Sandiganbayan ordered the suspension of Mayor Celso Olivier Dator of Lucban, Quezon, in relation to a pending graft case filed by the Office of the Ombudsman. Areas within the Subic Bay Metropolitan Freeport are being readied to host a total of 17 events in the coming 30th Southeast Asian Games which the Philippines will host from Nov. 30 until Dec. 11. The government will make sure that thousands of foreign nationals working in Philippine offshore gaming operations pay their income taxes, the Finance Department said over the weekend. The Metropolitan Waterworks and Sewerage System Regulatory Office has branded as “unrealistic” the goal of the Department of Environment and Natural Resources to expand Metro Manila’s sewerage coverage up to 100 percent by 2026. POPE Francis has appointed a Cebu bishop to head the Military Ordinariate of the Philippines.